* Be sure to check the entry for T. chusgonensis which is still in circulation posing as a balsasensis. Chris Larson ... "I have a few different plants where the label used to read balsasensis – some were chusgonensis, & others, more recently, reducta. Finally one that appears correct. This one appears as tough for me as T. tectorum." Derek Butcher ... "Great. So you share with Peter Tristram having the right plant! T. chusgonensis was only described 9 years ago but the plant was already in Australia (wrongly) under balsasensis so if others have a plant called T. balsasensis please check. 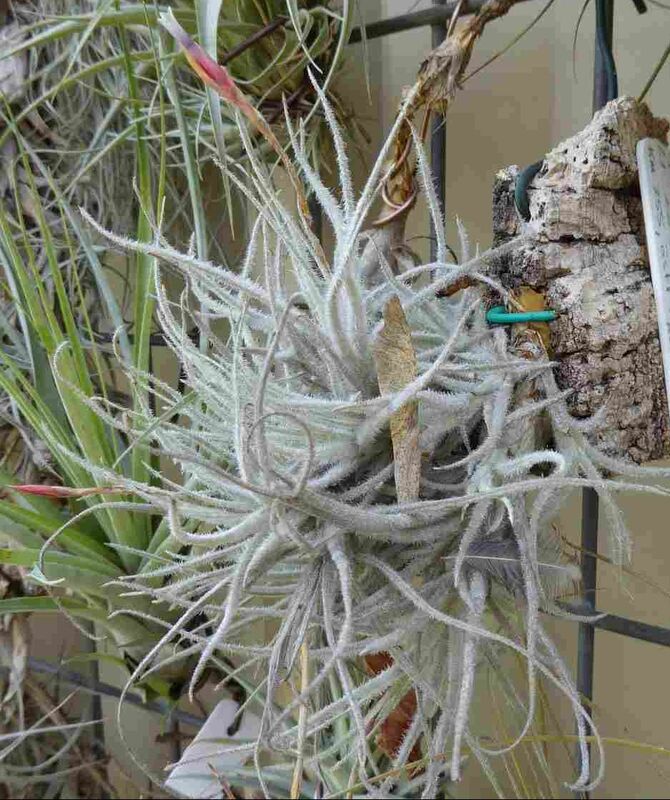 Vegetatively it does look like a small T. tectorum, T. reducta, or T. balsasensis so beware. While each is found in different areas of Peru if you do not have provenance you will have problems. Some growers claim to have the ability to identify on leaf alone but I am more cagey!" Chris Larson ... "Yes, I’ve had the chusgonensis sort since the early 90s. Nearly every balsasensis I’ve seen in Australian collections is this. Many recent o/s imports are T. reducta. This one was ex Lotte in 2009 – km 355, ostl. Balsas (with those funny dots over the o), Amazonas, 1700m alt."